How much is Josh Duggar Worth? Josh Duggar net worth: Josh Duggar is an American businessman and reality television personality who has a net worth of $200 thousand. Josh Duggar, also known as Joshua James Duggar, is the eldest child in the Dugger family, who was born on March 3, 1988, and raised in Arkansas. He was home-schooled and finished high school at age 16, there are also records of him attaining some post-secondary schooling with CollegePlus! and Thomas Edison State College. He is part of the famous Duggar Family, who are the subjects of the Discovery Health Channel Series, 14 Children and Pregnant Again!, which turned into TLC's 19 Kids and Counting; the program now features three generations of Duggars. The series follows Josh, his siblings, and their parents, as they negotiated daily life within a very large family. The family has always been very vocal about their Christian faith and it is equally important for both the parents and their children. Josh Duggar owns a consulting firm for politicians and an automotive dealership, and is currently the Executive Director of the Family Research Center's Action Arm. The Family Research Center is an outspoken organization that carries a pro-life, pro-family agenda and speaks out quite adamantly regarding their beliefs on gay and lesbian relationships. He married his wife, Anna Keller, on September 26, 2008 at the Grove Baptist Church in Hillard, Florida. The couple has three children, Mackynzie, Michael, and Marcus; and the couple documented the arrival of Marcus on the television program, 19 Kids & Counting: GrandDuggar Makes 3!. 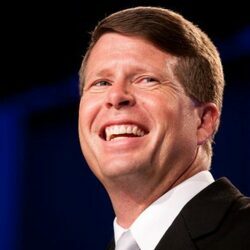 In 2015, Duggar resigned from FRC after admitting to allegations that he molested several young girls as a teenager, including some of his sisters.